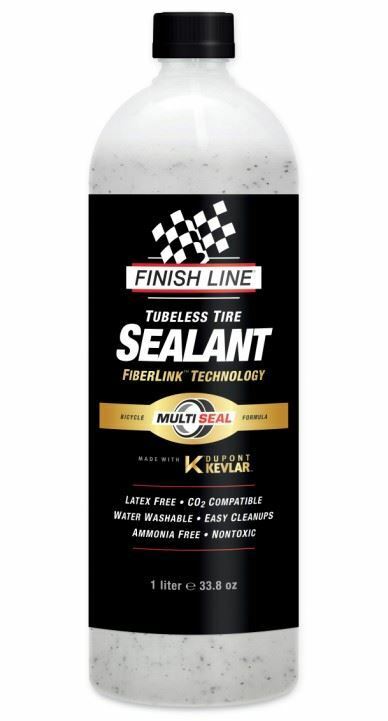 Finish Line Tubeless Tire Sealant will not cure inside the tires, therefore, it doesnt need to be refreshed every few months to maintain effectiveness. Since there is no liquid latex or ammonia in Finish Line sealant, it is naturally non-toxic, hypoallergenic and safe for carbon fiber rims. FiberLink technology makes this possible. Utilizing DuPont Kevlar fibers, FiberLink seals are extremely robust once they plug a hole. When a puncture happens, fibers rush into the wound and quickly stop air loss.